Martha Alderson, aka the Plot Whisperer, is the author of the Plot Whisperer series of plot books for writers: The Plot Whisperer Book of Prompts: Easy Exercises to Get You Writing, The Plot Whisperer Workbook: Step-by-Step Exercises to Help You Create Compelling Stories – a companion workbook to The Plot Whisperer: Secrets of Story Structure Any Writer Can Master. 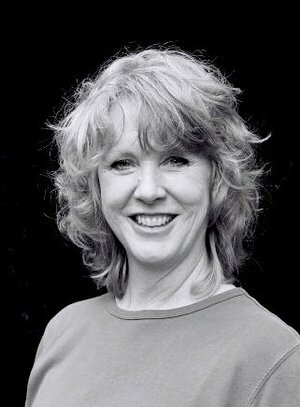 She has also written Blockbuster Plots Pure & Simple (Illusion Press) and several ebooks on plot. As an international plot consultant for writers, Martha’s clients include best-selling authors, New York editors, and Hollywood movie directors. She teaches plot workshops to novelists, memoirists, and screenwriters privately, at plot retreats, RWA, SCBWI, CWC chapter meetings, at writers' conferences and Writers Store where she takes writers beyond the words and into the very heart of a story. Products by Martha Alderson, M.A. 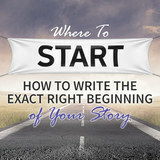 Where To Start: How To Write the Exact Right Beginning of... by Martha Alderson, M.A. 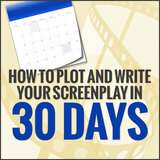 How to Plot and Write Your Screenplay in 30 Days by Martha Alderson, M.A. 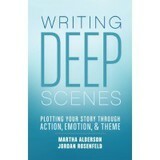 Writing Deep Scenes by Jordan E. Rosenfeld, Martha Alderson, M.A. Articles by Martha Alderson, M.A. If you make explicit what you already know intuitively about the structure of movies and stories, you'll have yourself a conscious plotting tool. The rhythm of story is in all of us right now, especially for those who were read to as youngsters and continue to read today. Every story spans a period of time. Story can be defined as conflict shown in scene, meaning that most writers will treat time in scene rather than in summary. Reader Alexa Adams from Milford, CT asks My scene count is making my screenplay too long, but I can't see cutting any of the scenes I've written. What should I do? This year, reviewers have consistently complained about a lack of character emotional development in the movies. At the same time, Hollywood reports a slump in box office sales. Are the two related? Perhaps. Even the top five moneymaking movies for the summer of 2006 were without significant character emotional development. Most of a writer's genius comes in the art of the finesse. How finely you craft your project before you let it go is up to each individual writer. In real life, some people skate from one success to the next. Others hit a flat-line long before they ever actually die. Unlike people, all story characters suffer both ups and downs throughout the entire story. 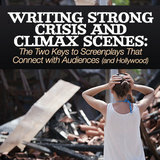 Most writers end up writing at least twice as many scenes as needed to produce a compelling story. One skill that defines a good writer is the ability to know which scenes to keep and which ones to kill off. 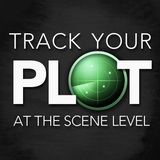 As a plot consultant, I developed two visual plot tools to help writers select those scenes that best advance the story and then make those chosen few truly great. An agent flings a promising work against the wall. When asked why, she rages about all the times she has read entire manuscripts only to be disappointed in the end. She softens as she explains how, by the time she reaches the final quarter of the story, she longs for the work to succeed. If it fails, disappointment stings all the more. Plot involves at least three primary threads: Dramatic Action, Character Emotional Development, and Thematic Significance. Of these three elements, writers are equally divided between those who begin a project by concentrating on the Dramatic Action and those who begin with Character Emotional Development. Some writers excel at pithy banter. Others create dramatic action. The writers I most admire are the ones who in their own natural style convey a character's emotional personality in scene through active, non-verbal communication with just the right frequency and intensity.